Renting a cabin in the mountains gives you and your guests plenty of room to stretch out and explore. Each property in our rental program is a privately-owned home, and from its natural setting to the amenity package and décor, the cabin reflects the personality and taste of its owner. 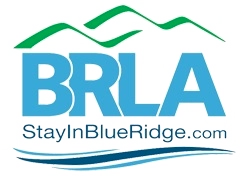 Some properties are tucked deep into the mountains and appeal to those looking for complete seclusion, while others are located in mountain communities or resorts that offer cabin guests access to community amenities including pools, playgrounds, tennis courts, and picnic and fishing areas. Don’t let the state line fool you, when you visit our neck of the woods a quick 10 minute drive can take you between the best North Georgia, Southeast Tennessee and Southwestern North Carolina can offer. Our rental inventory is clustered throughout various mountain communities and many lie either in or within close proximity to high demand locations. Not sure exactly where you want to be? Feel free to give one of our friendly vacation specialist a call to help point you in the right direction. 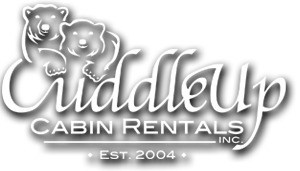 Cuddle Up Cabin Rentals specializes in group rentals! We have a diverse inventory of luxury rental cabins within minutes of each other, some even within walking distance of each other. Our properties can accommodate your group retreat or extended family vacation, let us help you find the perfect grouping of cabins to keep everyone close together but without the stress of having everyone crowded under one roof!